This is a guide to travel hacking without credit cards. Credit card points are often touted as the holy grail of all things related to travel hacking. I don’t disagree but stacking a ton of credit cards isn’t an option for everyone. Maybe you don’t have enough credit card worthy expenses or perhaps credit issues are prohibiting you from obtaining a card right now. Whatever the reason, the good news is that there are other options available! You can collect points in other ways and implement small life hacks to save money too. Sign up for rewards programs: hotels, airlines, car rentals, etc. Sign the kiddos up too! Points, regardless of their source, are the basics of travel hacking 101. 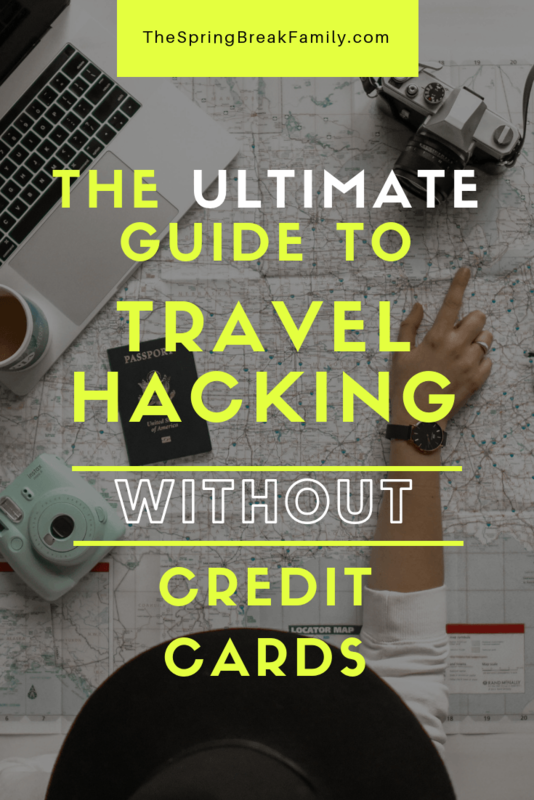 But if you’re travel hacking without credit cards, you’ll have to seek other ways to collect points. Contrary to popular belief, you can indeed earn points and miles without a credit card. Most, if not all, airline carriers have rewards programs that will generate miles with every flight you take. Same with car rental agencies and hotels. They can come with bonuses too! For example, when we checked into the Residence Inn in Baltimore, the front desk agent asked us to pull a pen from a cup. Each pen had a value attached to it and I ended up with 20K bonus miles. Just for checking into the hotel! It is worth noting that some companies require you to book directly with them to get their miles/points. That means no Priceline, Expedia, etc. But remember the end game! Worth it! There are no age restrictions for frequent flier programs. Sign your kids up too! No, it’s not so they can ball out with their million and one points when they’re older. Although, that’s always an option too. It’s so that you can maximize your point pool. Most let you pool your points with family members so that you get maximum points to spend. If you like eating out — and even if you don’t — registering with these restaurant rewards programs will help contribute to your point count. For example, United Airlines has MileagePlus Dining, Delta has SkyMiles Dining, and American has AAdvantage Dining. Other airlines have similar programs too. Hotels are in on the game and have their own dining programs as well like IHG, Hilton, and more. You can find a very comprehensive list of these programs at Nerd Wallet. Almost all airlines have an online shopping portals that provide mileage incentives for purchasing through them. Yes, that means skipping Amazon and yes, it hurts me as much as it hurts you. But again, remember the end game! 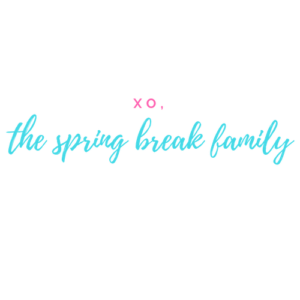 We are trying to travel hack without a credit card. Besides, these portals have most of the things you could find anywhere else and usually at the same price. They just come with an extra mileage perk. Win/win! I’m on the fence about this one but if it was something you’d planned to do anyway then this is a great option for you. 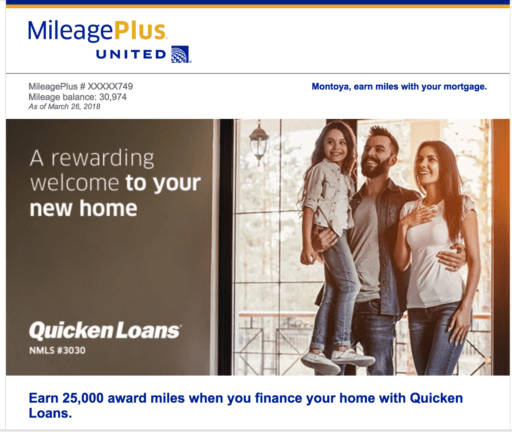 Many airline rewards programs — United MileagePlus in particular — have partnerships with loan programs like Quicken Loan, Lending Tree, and more. As such, they often offer a mileage incentive for taking out a loan through one of their partner companies. For example, United recently had an offer to receive 25,000 bonus miles for financing a new home through Quicken. 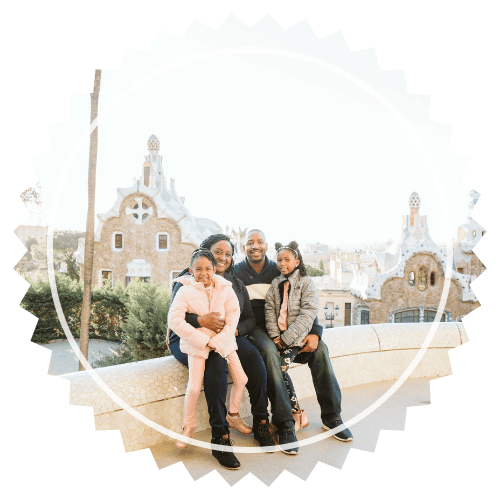 If this is something you’d already planned to do, it is a no brainer and an easy travel hack without using a credit card. At the time of this post, this was only offered by United Airlines but if you find any other airlines please let me know. Travel costs money, right? Many people offset those costs using points they’ve garnered from previous spends. But if you’re in a different boat and you’re travel hacking without credit cards then you have a little bit more of a gap to cover with your savings. You’re not alone. Luckily, there are plenty of ways to save money that don’t involve credit cards. This one is my favorite because it involves spending money to get money. Cha-ching! Ebates is a referral service that gives you a percentage back when you shop online. If you’re an online shop-a-holic like me, this is just icing on top of the cake. If you’re not the type to remember to go to one site before shopping on another, you can download a free Chrome plugin that will flash when you’ve hit a partner site. It will also automatically load known promo codes to help save you more money. They’ve just branched into in-store shopping cash back as well so it is a win all the way around. Money is paid out monthly in [what they call] a big fat check via PayPal. Please note that this cannot be used in conjunction with the airline online shopping portals. But if you can’t find what you’re looking for there, Ebates is the next best option. Please don’t donate your brain to science. Or maybe you should.. just make sure you travel first. 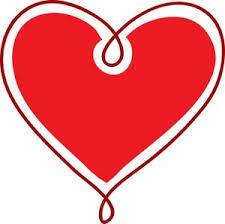 :) Donating plasma or participating in a clinical drug trial is a very easy way to get some extra cash. There are limitations of course and you shouldn’t put your body in harm’s way but if you can find a benign medical opportunity then go for it! For example, during my broke college days, I volunteered for a clinical trial to remove my wisdom teeth. In exchange, they gave me pain medication post-procedure while I detailed my pain levels. Not only did I receive top of the line care for free but I also received enough money to go on a girls trip to Miami! This is contradictory to one of the methods listed earlier but hear me out. If you work outside your home then chances are you go out to lunch at least a few times a week. Or maybe the family likes to indulge in expensive sushi every other day. Or you and your girlfriends meet up for happy hour every Thursday-Sunday [you go girls!]. If you’re in crunch mode and trying to pinch your pennies, reduce some of these and eat at home. Clip coupons, get groceries, and save money by eating in. Spread those savings even further by taking the leftovers to work for lunch. If you get bored with the routine [or often the extra work it requires], remember the end goal is to travel hack without credit cards! This little app is a gold mine. 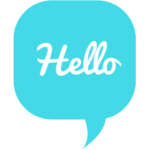 With a simple install on your phone, you could earn money by doing consumer surveys. They aren’t your typical surveys and some of them pay extremely well. For example, I once received a $50 reward for placing a to go order from a local restaurant, taking pictures, and submitting them through the app. Took all of 30 minutes, my family got free dinner, and I made an easy $50! There are many apps out there that do this but Surveys on the Go is by far the best I’ve tried. If you decide to download this app and are looking for ways to maximize your earnings, we’ve got a Surveys on the Go hack for you. Leave your location services on so that the app knows where you are. Some [most] surveys are location based and you don’t want to miss out on opportunities. Turn notifications on so that Surveys on the Go can send you real-time alerts when a survey is available. Take the available survey as quickly as possible. Some are time and/or location sensitive and might disappear when you are out of range. Cash your balance as often as possible. This Surveys on the Go hack makes the app think you are in need. There is no charge to submit a payment to PayPal so do it as often as you can. Take the surveys you don’t think you qualify for anyway. Those 10 cent increments add up. If you’re anything like us, you do a massive purge of things in your home at least once a year. And again if you’re like us, you usually donate everything to Goodwill [or some place similar]. Charity is one of the most awesome gifts people can give each other. But when you’re travel hacking without credit cards, you’d be better served taking those items to a resale shop instead of a thrift store. Investigate resale shops or expos in your area to help get some extra change. While we may be leery of staying in an Airbnb again, renting your place to others is actually a great idea! It isn’t exactly passive income aaaaand you might end up with a bad tenant [or two]. But there are some Airbnb hosts that report making upwards of $1K/month. To avoid paying for alternate lodging when you have a tenant, stay with friends/family or only rent when you will be out of town. It’s amazing the things people will pay you to do. That sounds a teensy bit ominous but there are plenty of options out there for freelance errand work: Task Rabbit, Shipt, Door Dash, UberEats, and Postmates just to name a few. You can also become an Uber or Lyft driver in your free time. The end goal to travel hacking without credit cards is to save money. That’s why once you have your points and you’ve saved a bit of cash, it’s important to use them wisely. When you’re travel hacking without credit cards, you just want to collect points. Don’t worry too much about trying to consolidate them with one airline, one hotel, one car rental agency, etc. It just muddies up the details so collect them any way you can. Then get creative about how you utilize them. All agencies have partnerships with other companies in a different transportation sector. For example, United MilagePlus miles can be transferred to Marriott rewards points. Marriott Rewards points can be transferred to Delta Airlines. You can even use Hilton Honors points to purchase rail tickets! The ratio of the points transfer can differ so mileage can vary [pun intended] so be strategic. In the beginning stages [and maybe even in the intermediate one], you might not collect enough points to completely cover the costs. And that’s okay! Many hotels like the Hilton and the Marriott, let you book using a combination of points and cash. Look for these options to try to get the most bang for your buck! Alternatively, you can also purchase additional miles or points using the money you’ve saved! Companies often have promotional offers that let you purchase miles and receive a 50-100% bonus on top of that. Be cautious because purchasing miles is often very expensive. But if you can find a good deal, then go for it! This is one of my favorite travel hacks. Many of the airline shopping portals also sell gift cards to places like Hotels.com, Southwest, Avis Car Rental, Carnival Cruise Line and so much more. At certain points during the year — especially the holidays — they might even offer these at a point discount. The conversion of points –> gift cards –> travel might be even more beneficial than the direct conversion of points –> travel. So there you have it. The ultimate guide to travel hacking without credit cards. Do you have any tips to add? Leave a comment! These are GREAT tips! I haven’t signed my kids up for their own airline mileage plans, but I’ll definitely be doing that. We’re taking a trip to Mexico in January so want to take advantage! Yay!!! So happy the tips were helpful Catherine! Hope you guys have a fantastic trip!